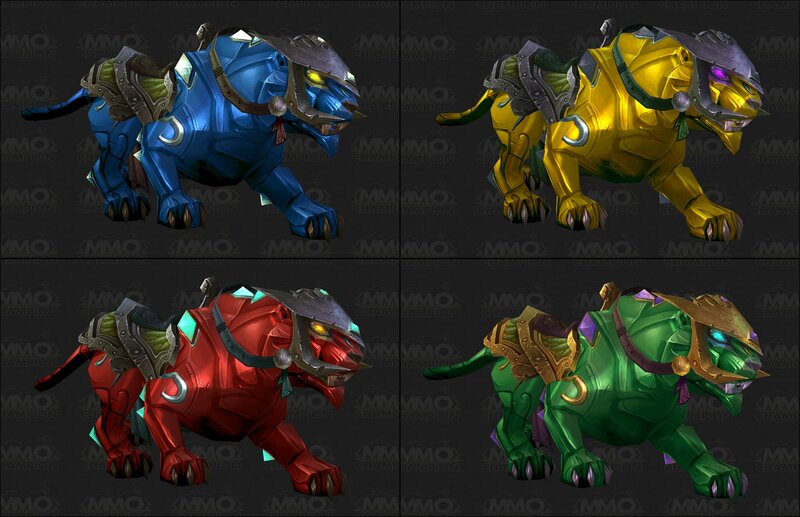 One of the new craftable mounts by jewelcrafters, the other ones being Rubinpanther, Saphirpanther and Jadepanther. All these mounts will be sellable in MoP by the looks of it. Comment deleted. Merging with other comment that I did not notice I had on this page. For some reason, this item appears in-game as Dawnstone Panther, even appearing under that name in the Mounts window. However, if you summon it, the cast bar says Sunstone Panther, and it needs to be Sunstone Panther in any mount macros. So if you are wondering why your /use Dawnstone Panther macro won't work, or why you can't find a Sunstone Panther in your inventory, it's probably this odd name bug. Just got this off the AH on Lothar server for 11k gold. Seller put it up for auction with a 24k buyout but started the bidding at 2.5k, and it never went past 11k.... I placed my final bid hours before the auction closed, and watched it the last 30 mins, sure that somebody would outbid me, but it never happened... I feel kinda bad for the seller bc the mats alone cost almost 20k, but it's a good example of why I never list anything for less than I intend to get for it. Beautiful mount, btw. Personally this is my favorite looking out of the bunch. I chose to make this first, but plan on making the other 3 to then finally make the Jeweled. I figured I'd start with this one just in case I lose interest I'd at the very least then be left with what I think is the better looking of the bunch. Plus it's a good business decision. Crafting all 4 mounts just to make the Jeweled makes it a very hard choice and will take me a long time. Putting them on the AH while I wait for that day makes it more important to put up the more popular, but whose to say which that is. All 4 being the mats for 1: Jeweled Onyx Panther. I just made this mount to give to myself for my birthday. (Nice of me, huh?) Mats cost 20,895g. I was a little nervous because so many mounts have horrible riding animations, like the brown camel, which makes me have an epileptic seizure every time I ride it. Other mounts can't walk, some are disproportionate to the rider, others look plain silly when you're riding them. I had actually sold a few of these but never tried it out for myself until today. Well, let me tell you. This baby is smooth like butter. The riding animation and proportions all look 'realistic' when flying or walking, or just standing still. The low growl it makes while flying around sounds like a real tiger - and everyone around you can hear it, which is great. There aren't a lot of miscellaneous streamers and sparkles when flying to be distracting. You feel like you're on a real flying tiger. This thing was totally worth it and by far my favorite mount to date. Bonus: You can pick the color you want to match your mog. I think my sales strategy will be to put one up on the AH and then fly around doing tricks in front of SW TD AH. On my server, Emerald Dream, AFTER AH TAXES, which are ridiculous 5%, you can make about 2.5 to 3k on these things. But really, this is one of the first times I don't regret spending money on a mount. Kudos, Blizz. This is by far one of your best. My only regret is that when I check in the Inn to go to bed at night, I can't curl up with it. I highly recommend this fabulous mount. And I encourage you, if you want to treat yourself, to get your hands on one as soon as possible. Did anyone else notice the Voltron reference with these mounts? Red, Blue, Green, Yellow, and Black? I didn't notice it at first...not until after I was wondering why you couldn't make a purple or orange one.